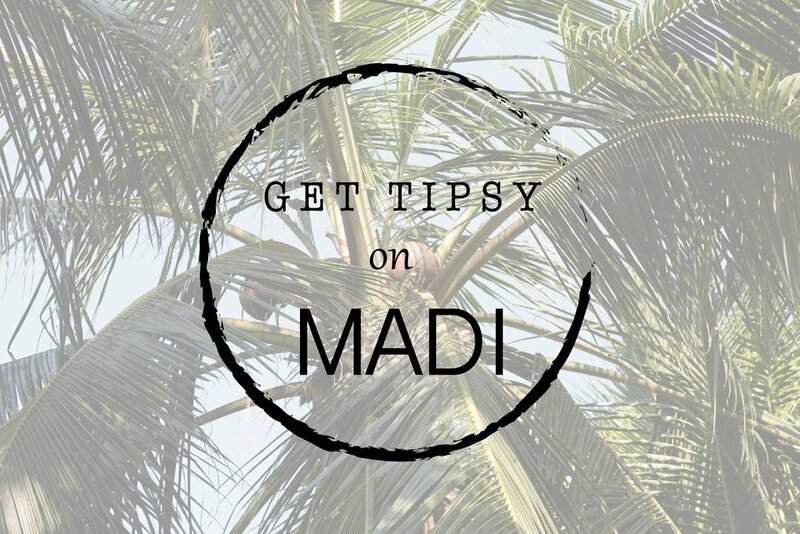 Madi, also known around the rest of the world as Palm Wine, is a delicious and often times healthy alcoholic beverage made from the sap of palm trees. In Madi's case, the coconut tree. We discovered this wonderful drink through a fantastic experience you can read about here. After cutting the palm stem, a container is placed below the tap and the sweet palm nectar is collected. Although non alcoholic at first, it only takes a few hours for the sap to naturally ferment and reach an alcohol content of about 4%. If left longer, the brew gets stronger and becomes a "wine" and the taste will be more acidic. We absolutely LOVED this drink but please be careful when seeking it out. Make sure you find a reliable source because as with any moonshine, it may be mixed or "diluted" with another substance that could be dangerous or even fatal. After sampling it at a roadside stand we arranged for our host to take us to a local producer and had the freshest Madi possible. For 100 rupees (about $1.50) we got a liter and kept us tipsy all day.